2. 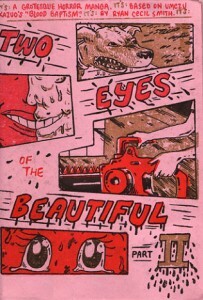 Brainscan #26 by Alex Wrekk $2.00 – Alex writes about “what the deal is” with her and Microcosm. 5. 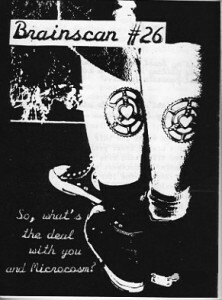 Manifesti of Radical Literature by Anne Elizabeth Moore (Pressing Concern) $8.00 – This pocket-sized zine is a great introduction to the work of Anne Elizabeth Moore. The Manifesti of Radical Literaure condenses many ideas Moore has previously explored in other works — her critique of culture jamming, copyright laws, advertising, and why everyone should seriously consider self-publishing their own work. What saves this 50-paged effort from feeling redundant is Moore’s charming sense of humor. Grab a copy for yourself and another one to leave at your local library. 10. 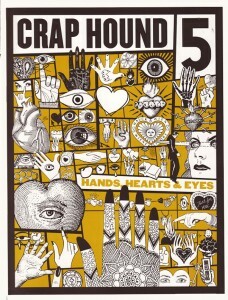 Crap Hound #5: Hands, Hearts and Eyes $12.00 – BACK IN PRINT! 12 New Pages to seduce you! After the longest wait ever, THE BEST CLIP ART ZINE EVER HAS RETURNED. 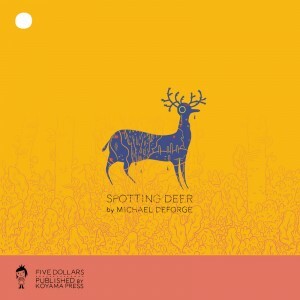 This picture book for discussion and activity features hands, hearts, and eyes. Get those tattoo guns ready, because you and your loved ones are going to need one once you get through looking through this issue. Amazing. Tags: top 10, Top 10 bestsellers. Thanks to L. Ron Hubbard’s cabal and Spike for the swag to give to our customers! Tags: Top 10 bestsellers, top ten.